From hearth designs with European hoods to porcelain farmhouse sinks, Carrington Homes can design a kitchen exactly to each homeowner’s specifications. 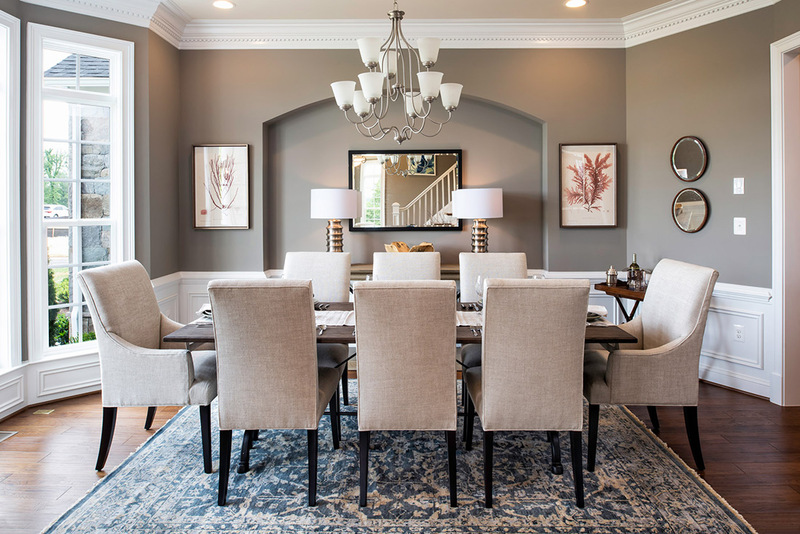 Carrington partners with the finest cabinet makers, lighting experts, tile layers, flooring specialists, and appliance manufacturers to build homebuyers their ideal kitchens. Carrington kitchens are both highly functional and beautiful. 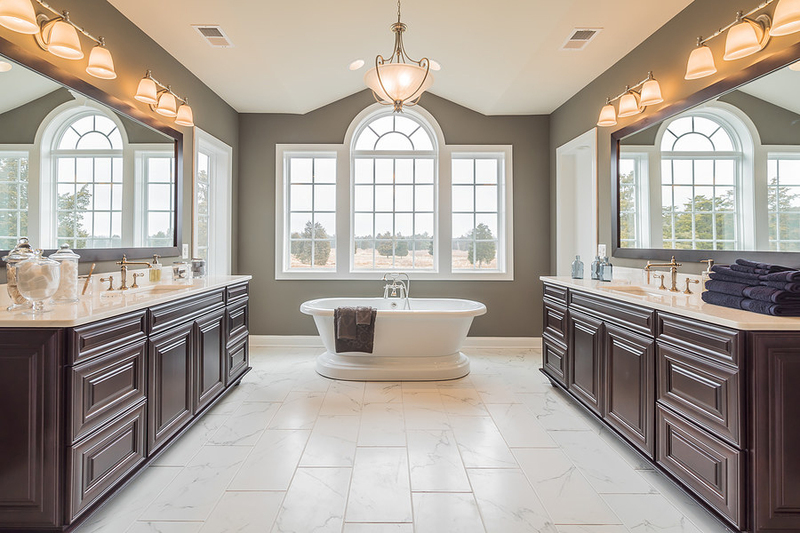 Purchasers have endless options of cabinet designs and finishes to choose from in addition to hardware, lighting, countertop, and plumbing fixture choices. Custom designs can be created for islands, desk areas and home offices, buffets, and butler’s pantries. As a comfortable extension of the kitchen, keeping rooms offer homeowners a casual spot to relax close to the activity in the kitchen. Keeping rooms have beamed, vaulted ceilings, an arched window wall, and glass French doors leading outside. A comfortable place to gather and share a meal is always a good idea. 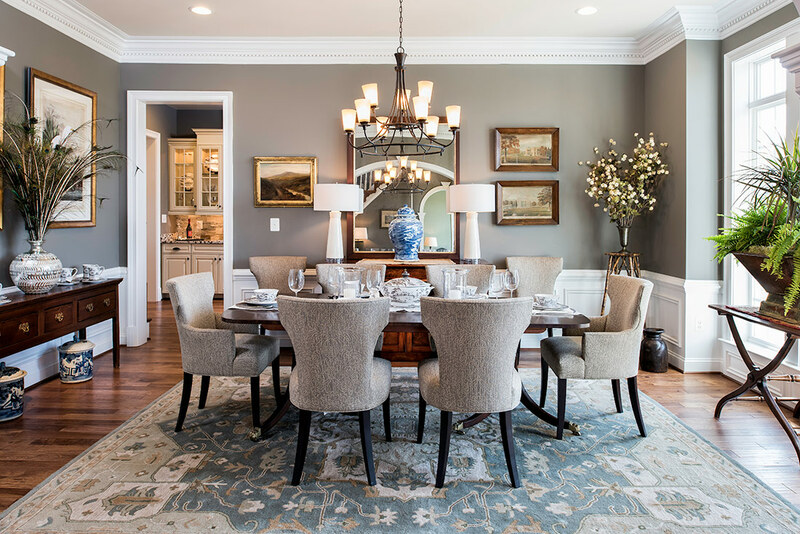 Carrington dining rooms are ample in size, have floor to ceiling windows (many walk-in bay windows), detailed crown molding featuring dentil or Greek key motifs, and a charming light fixture with ceiling medallion. 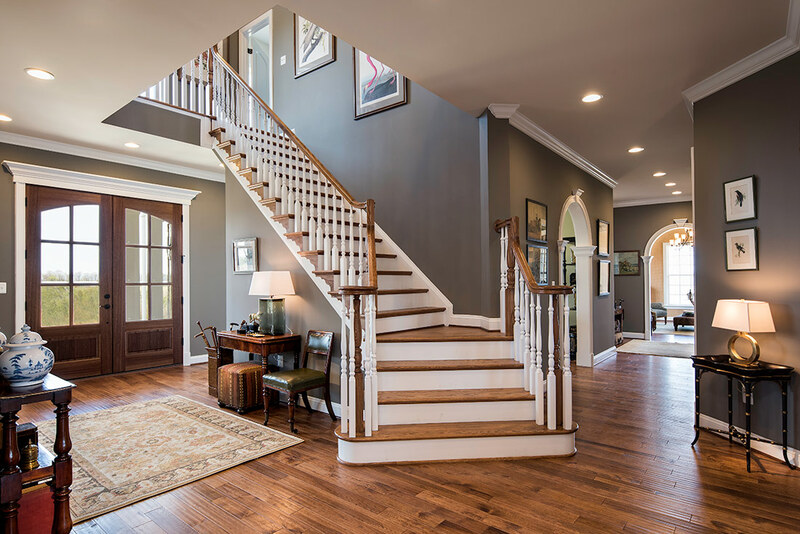 A foyer welcomes homeowners and guests and sets the tone for the home. 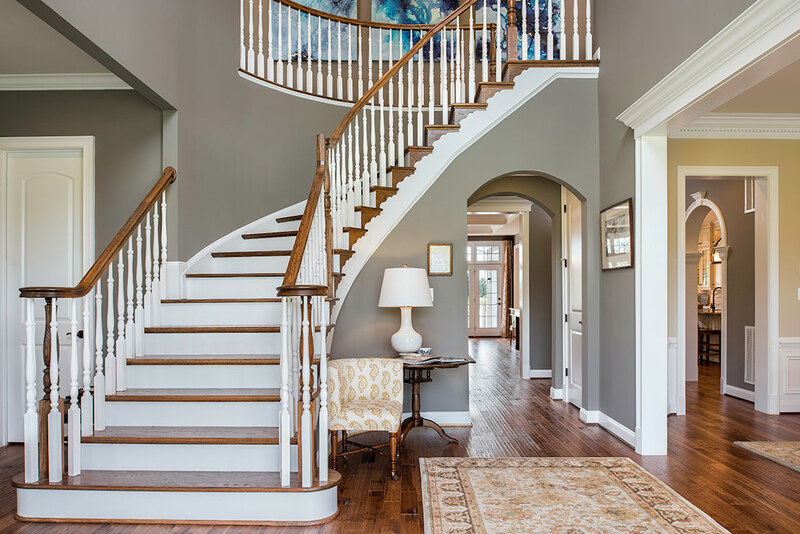 Whether it’s a lofty two-story foyer with curved oak staircase or a 10’ foyer with handsomely unique reverse staircase, Carrington foyers are sure to make an impression. Homes are meant to be explored and enjoyed and that is just what our 5’ wide art galleries do. 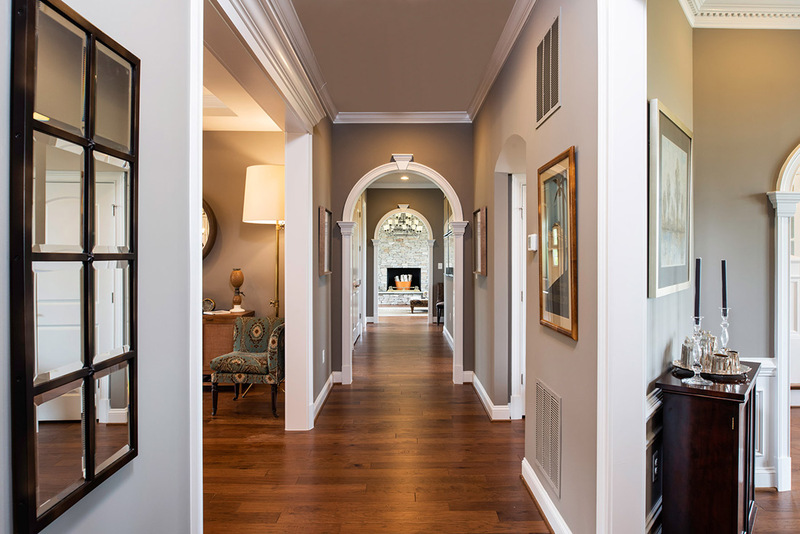 Spanning the width of the home, the gallery leads from the foyer and directs to various rooms on the main level, all while keeping space between rooms and allowing for furniture and art placement to enhance the space. Our spacious family rooms are places to relax and enjoy each other’s company. 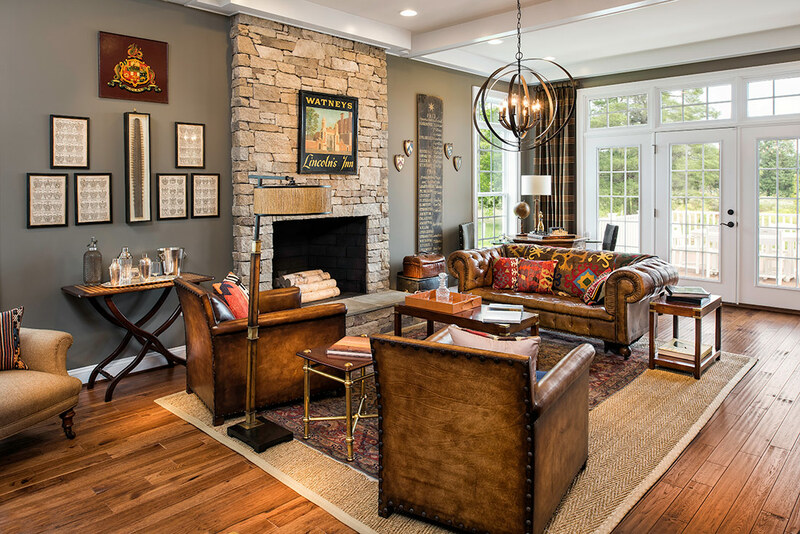 Whether entertaining a crowd or simply sitting for a quiet moment in front of the fireplace the family room is an ideal spot to take it all in. 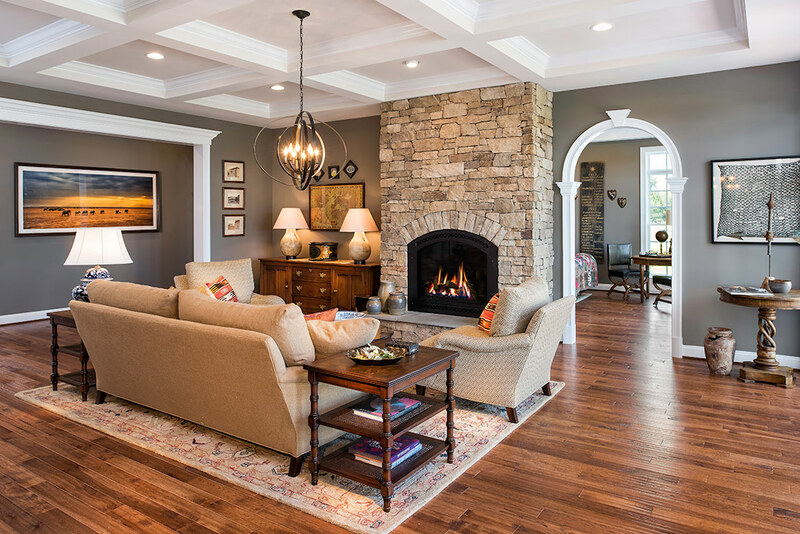 The family room seen here is accented with a detailed coffered ceiling, recessed lighting, and a remarkable real stone fireplace. 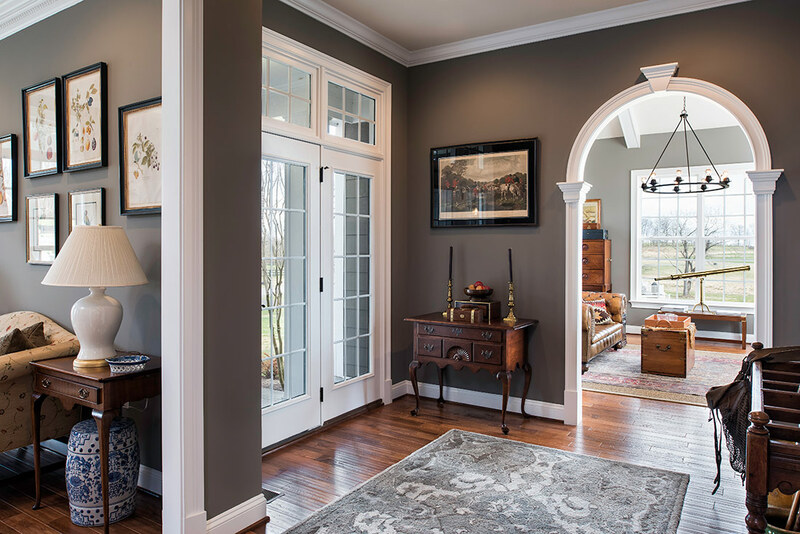 The trimmed arched doorway leads to the club room. Cozy, handsome, casual living spaces, club rooms are perfect spots for playing games and winding down. 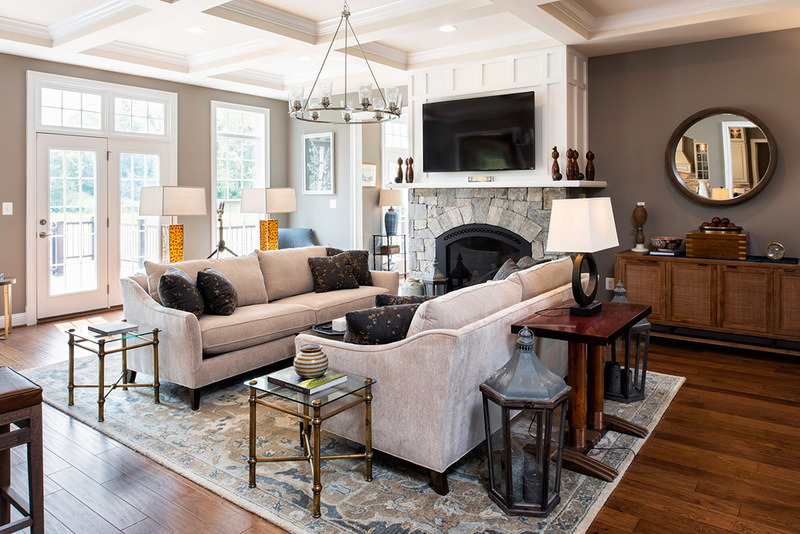 Club rooms can be accented by gas or masonry fireplaces, have beamed ceilings, and can also be used for a spacious home office, art or music studio, play room, or library. No details have been spared in the design of our owner’s suites. Spacious bedrooms with tray or vaulted ceilings, sitting rooms with built-ins and coffee bars, sundecks, oversized walk-in closets, and resort-style spa baths await.